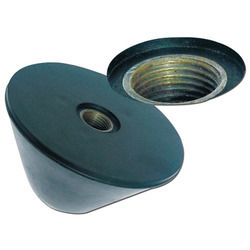 We offer to our clients an extensive range of Pop Up Valve that is widely acknowledged for their optimum quality, corrosion resistance and high tensile strength. Also, we make available these products in different dimensions and sizes as per the requirements of our clients. We are manufacturing and supplying Bottom Connection Pressure Gauge for Refineries. These gauges are manufactured using high-quality materials and state of the art technology to make sure of its durability and fine quality. We are offering Pressure Gauge to our clients. We are offering Pressure Gauge With Bottom Connection to our clients. 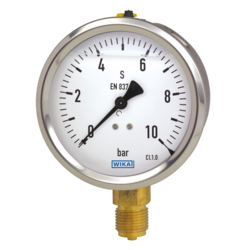 The differential pressure indicator (Pop-up Valve) is used to monitor the life a the element. It works on the principle of difference in pressure across the filter or other components in the system. Indicates when the filter has reached the end of it's life. Mounts directly on top of the filter housing. Pressure drop indicator shows red at 0.7 bar AV Pop Up Valveless filter element. 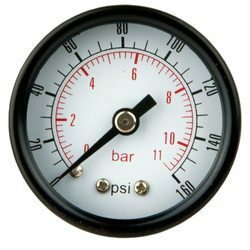 Commonly called as DP Gauge gives continuous reading of difference in pressure across the filter. The DP gauge continuously monitor the pressure drop across the filter and may be used to measure pressure drop across other components in compressed air gas system. The sensitivity of these gauge is in the range or 0 to 1 kg/cm2, The readable visibility range of the gauge is around 5-6 mtrs. Designed to he installed on compressed air or gas system the warranty ceases to exist if sued on any other fluids. Connect the indicator to the Upstream & Down stream sides as shown in the picture.